The calendar just clicked over to September, and we’re already marking down all the movies we’ll be watching in October thanks to Cinespia’s latest schedule announcement. 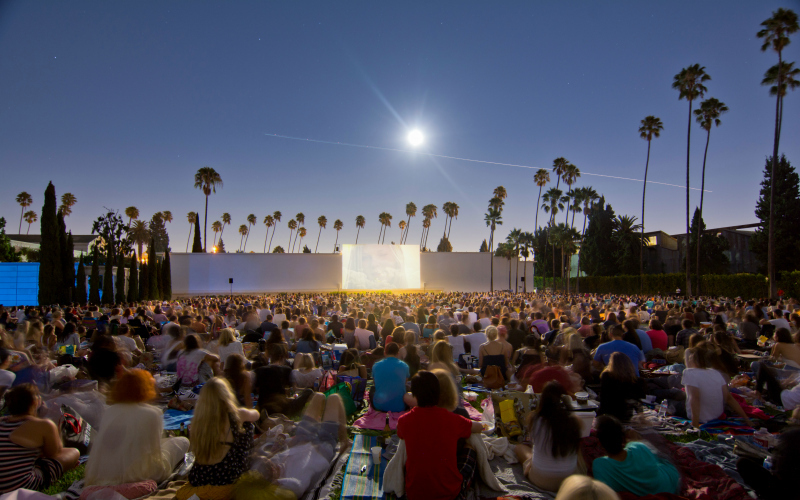 October marks the moment when the crazy-popular film screening series closes out its summer outdoor season at Hollywood Forever Cemetery and launches its winter indoor season at the Los Angeles Theater. Cinespia, sponsored by Amazon Studios, is the longest-running screening series of its kind in L.A., celebrating its 16th anniversary this year. Start the month with the 1980s classic starring Bill Murray, Dan Aykroyd, Rick Moranis, Harold Ramis, and Sigourney Weaver. Bring your blanket and make the most of the final weeks of perfect picnic weather. Tickets are $16. This new 4K restoration of the film was overseen by the Museum of Modern Art, the Film Foundation, and George A. Romero. Even if you’ve watched the movie dozens of times, you’ve never seen it like this. Tickets are $16. This elaborate Halloween party invites you to put on your David Bowie-inspired best for a screening of the fantastical flick plus magic show, live music, a photo booth, five different full bars, and more surprises. Tickets are $35 for general admission or $85 for reserved seating. “Bed Cinema” Is an Outdoor Screening Series With Actual Beds, and It’s Coming to L.A.